I like Pamela Geller. Always have because of her intrepid and fearless way of speaking out against Islam and its radical adherents’ jihad against anyone - Christian and Muslim alike - who dares use free speech to mock or criticize the Prophet Mohammed (peace be upon him!). Naturally, because the mainstream/liberal media (or Media Party, as Ezra says) is so politically correct it actually covers up for Islam by denying its terrorism problems, Geller’s always slandered and libeled by the media as a “bigot” and “hate monger.” In my book, that would be extreme misogyny coming from the liberal media, but you know how liberals are hypocrites who have double standards for conservatives/libertarians and all! You may have heard that Geller, through her praiseworthy American Freedom Defense Initiative, boldly went where few have gone this past weekend: She held a Prophet Mohammed Cartoon Contest down in Garland, Texas, which was attended by other brave souls who refuse to be bullied and terrorized by radical Islam. I’m talking about Dutch politician and defender of democracy Geert Wilders, and Robert Spencer, preeminent authority on Islam. The point of the contest was to pick the best caricature of Mohammed in the noble celebration of free speech and democratic values. Somewhat unsurprisingly, two Muslim terrorists showed up at the event, right on cue. They were actually outside the event and looking to ambush the attendees as they piled out of the conference at its conclusion, but thank God they were shot dead by Texas law enforcement. As the saying goes: Don’t mess with Texas. Yesterday we had confirmation that one of them, the now-deceased Elton Simpson, was convicted of deceiving the FBI after he was investigated for trying to travel to Somalia in the service of Islamic jihad. Oh yeah, he also tweeted that he was an Islamic terrorist right before the attack. In other words, this was a homegrown Islamic terrorist who identified himself as one and then left no doubt about it when he tried to kill in the name of Mohammed. However, if you scoured breaking news reports yesterday about this outrageous occurrence, you’d be shocked to see that all liberal media sources referred to the two terrorists as “gunmen” or “shooters” - like they had no Islamonazi agenda. Pathetic! Just more whitewashing from the Islamic terrorist-shielding mainstream media. On Monday Geller appeared on CNN, which showed its bias with the rude welcome she received from politically correct morning anchor Alisyn Camerota, who took issue with her pro-free speech, anti-radical Islam viewpoint. Geller returned the favor by reminding Camerota that she sounded extremely Islamophobic by implying that all Muslims support jihad due to her allegation that Geller was anti-Muslim. Any muslim who wants to follow their holy book in a fundamental way, will be radical. They will kill in the name of their god. There are therefore no moderates in Islam, the so called moderates have no idea what their book says. Jason; don’t hold your breath waiting for Alison Camerota to eat some humble pie. After watching her interview with Pamela Geller, in which Pamela performed magnificently, Camerota was in conversation with some other guest in which she arrogantly mentioned, in a way as if it was true, that “Geller was obviously uncomfortable with my questions”. I almost wet myself. Pamela responded to every question with direct clarity, positive conviction and common sense. It was Camerota herself who was obviously uncomfortable listening to Pamela’s inconvenient truths. A Radical Muslim is one who wants to kill you. 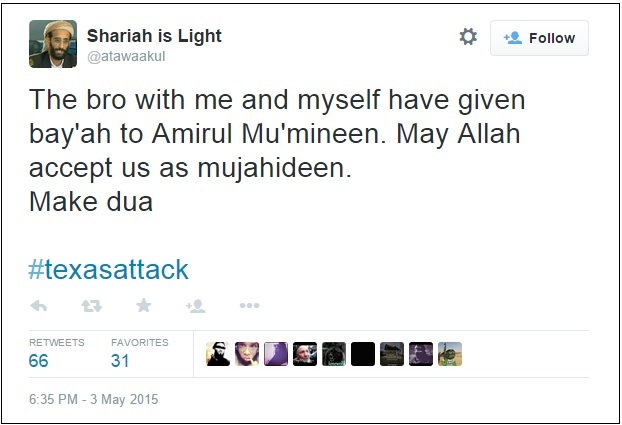 A Moderate Muslim is one who wants the Radical Muslim to kill you. I wonder if that CNN reporter is willing to eat some humble pie now that today we know ISIS is claiming credit for the attack. So in fact this was not some lone wolf egged on by “haters” like Gert Wilders. It was planned by ISIS. If there really is such a thing as a “Moderate Muslim” they would be to scared to speak out against, so called, Radical Muslims. There is no such thing as a “Moderate Muslim”. The deafening silence proves it. They are simply waiting for the jihadists to do the dirty work.